The West Seattle Transportation Coalition is proud to announce that the Alki Community Council (ACC), the West Seattle Junction Neighborhood Organization (JuNO), and the Highland Park Action Committee (HPAC) have endorsed the WSTC. They join with the Delridge Neighborhood District Council, Genesee-Schmitz Neighborhood Council, and Morgan Community Association in association in endorsing our growing coalition. Today, the WSTC now helps represent up to 34,600 peninsula residents on transportation related issues and advocacy. Alki Community Council: representing up to 4,900 residents. West Seattle Junction Neighborhood Organization: representing up to 6,000 residents. Highland Park Action Committee: representing up to to 6,000 residents. Please click here for a list of all the groups and individuals who have joined the WSTC in the exactly 31 days since our September 24, 2013 inauguration. Click here for meeting schedule information, to come to a meeting. 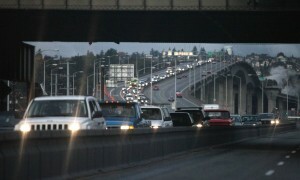 Click here to join the coalition and help improve transportation in the West Seattle peninsula. Why should you join?